We have been shortlisted for the ‘Best Savings Provider’ and ‘Treating Customers Fairly Champions’ categories. Shortlisted alongside us in the two categories are Virgin Money, Darlington Building Society, Close Brothers Savings and a few others. A full list of the award categories and finalists is available here. Thank you to everyone who took time out to vote for us, we highly appreciate your continued support and without your kind words we would not have been able to make it to this stage. However, the process doesn’t end here. To go on to win the award we still need your help. For those who haven’t voted yet, there is still time to vote until 10th February 2019, to help us to go on and hopefully win the award. You can even click the ‘Vote for Us’ button below. The winners will be announced at an awards ceremony in London on the 7th March 2019. 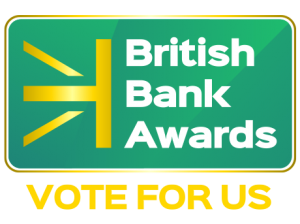 The British Bank Awards aims to find the best financial products and the most trusted financial brands and are voted-for by UK consumers. 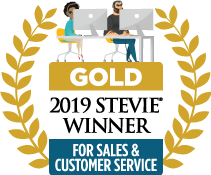 So far over 18,000 customers have voted for over 160 different companies. You can see how we get on in March, wish us luck!